This is part two of a three-part series on Sud Academy in Nairobi, Kenya. Don’t miss part one and part three. Growing up in a remote village in Bar el-Ghazal region—present-day South Sudan—Ayuel never gave much thought to education, and never imagined that one day he would become a teacher. But an attack on his village in 1999 set off a series of events that led him to dedicate his life to teaching, and to instill the love of education in countless young students, many of them refugees with stories much like his own. He was only 12 when the Khartoum government’s forces attacked his village. In the confusion, Ayuel and his 5-year-old brother, who had been severely injured in the attack, were separated from their parents. Ayuel would not talk to them again for more than 15 years. “My brother and I were taken by the Red Cross to Lokichogio in Northern Kenya, but he did not survive the wound. 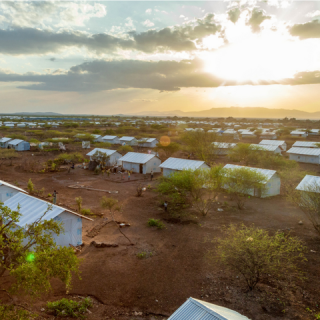 I ended up in the Kakuma refugee camp with other unaccompanied children and went to school there until 2005.” In the camp, Ayuel learned how to speak English and Swahili, and excelled in his primary school exams. In the meantime, a cousin of Ayuel’s had moved to Nairobi, Kenya, and was teaching at Sud Academy, a community school opened by South Sudanese refugees in 2002 to help children from disadvantaged backgrounds—both refugees and Kenyans—pursue a quality education. Upon hearing about Ayuel’s situation and his good exam results, Trisa Haak, a Canadian sponsor of Sud Academy, offered to pay for him to attend high school there. The buildings of Sud Academy in Nairobi. After that, Ayuel volunteered as a teacher at Sud Academy for two years before becoming full-time staff in 2011. While he’s continued teaching in the years since, he’s also been pursuing degrees in law and international relations. “I felt that not only did I have the academic knowledge to teach, but because of my experience as a refugee, I had something more to offer these children,” he says. Ayuel sees his role as a teacher as far more than simply going over what is in the curriculum. 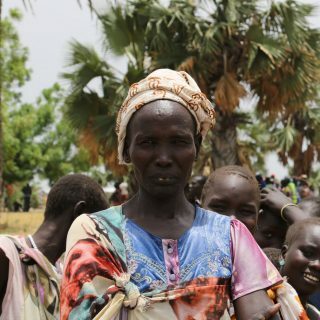 Many of his students have escaped violence in South Sudan or have grown up in a refugee camp, and adapting to their new environment can be difficult. A Swahili class at Sud Academy. 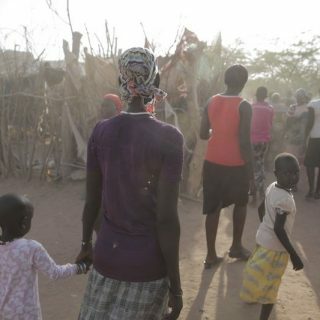 Out of the 180 children who currently study at Sud, about 80 percent are refugees, mostly from South Sudan. 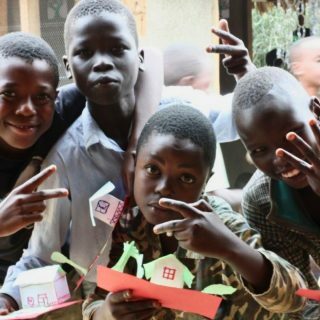 “One of the biggest impacts of this school has been to teach children that they can happily interact with people from different communities – whether other South Sudanese communities that are not their own, or with refugees from Rwanda and Congo, or with Kenyan children,” says Ayuel. And this spirit of tolerance and inclusion, as well as the quality education that Sud Academy provides, is helping children build bright futures not only for themselves, but for their countries.